Yvonne McGillivray is an outsider artist, painter and fashion designer who grew up in the west Highlands of Scotland, and has resided in the magical and wild Cornwall and the liberal and diverse city of Brighton, England. Her studio is filled with Guatemalan effigies, animal fur, feathers, skulls, crystals, plants, and large, luminous paintings which glow with secrets and suggest a life of deep feeling and profound shamanic exploration. As she unveiled work after work I became awed at the depth and extensiveness of her ouvre. Quietly, McGillivray has created a vast body of work. Her older work reaches back to deep and heavy primitivism, and her more recent work shines with the refined vibrancy of a new era, the emergence of a new logos. The common motif across her vast body of work is the inter-relationship of humanity with the plant realm. The human form is frequently depicted as interpenetrated by root and shoot, vine and leaf. 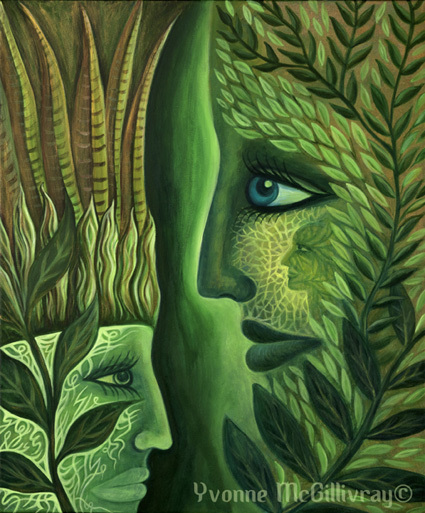 These icon paintings of the deep ecological plant realm are in my view the productions of something like a contemporary ‘vegetalista‘, a plant-shaman. 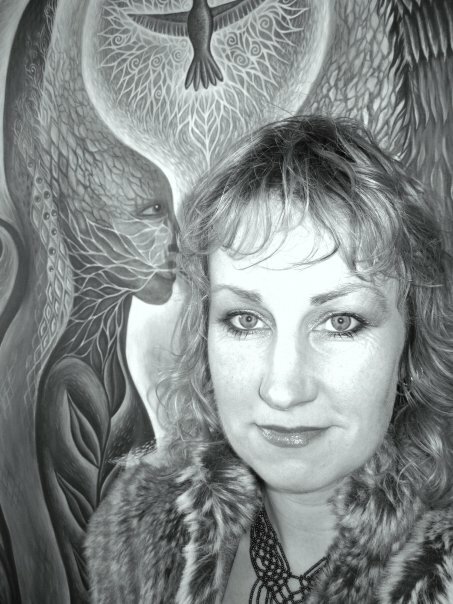 As a personality Yvonne is no less inspiring than her creations, and induced wonder in me as she poetically describes her experiences in nature and the world of visions, encountering natural languages, patterns, realms and beings that she magically transcribes into her art. Yvonne kindly agreed to take part in this expose of her work. 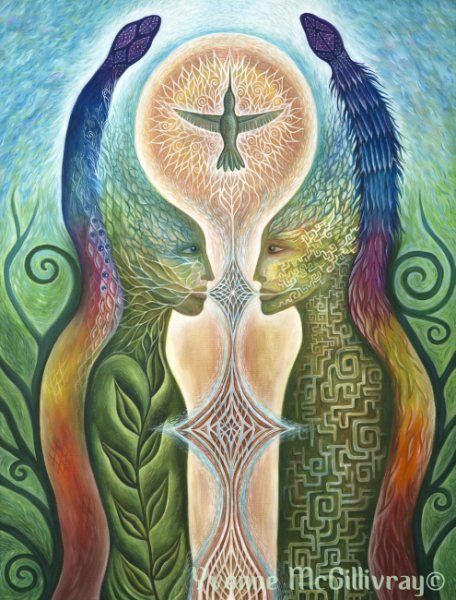 Daniel Mirante : Your work indicates a profound connection to the visionary realm of elementals, plant spirits, and spiritual rites of passage. How do you gain the inspiration and insight to be able to paint such mysteries? Yvonne McGillivray : Living close to nature for many years, I became very aware of the natural cycles, the ways of the birds and animals, the plants, the weather, the seasons. Interacting and communicating with the web of life around me, opened me to receive the messages, signs and symbols that nature constantly provides. Other inspiration and insights come from dreams and from visions received through meditation, shamanic journeying practises, music and sound. Listening to certain sounds can open up portals into other realities of magic, mystery and spirit where we can journey and access ancestral memory, future possibilities and present awareness. A painting unfolds and has its own journey into manifestation so it is often a mystery to me what will appear and what it has to reveal. Daniel Mirante : What role do you feel sacred art could perform within the industrialized societies of the modern world? 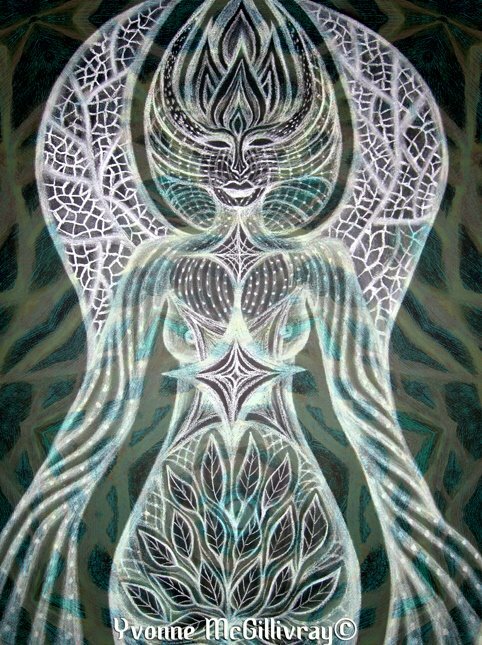 Yvonne McGillivray : During these changing times the sacred, visionary, shamanic art that is being channelled can help to guide the way forward, provide hope, healing, teaching and transformation. It can guide us back to the ways of spirit, nature, truth and beauty. 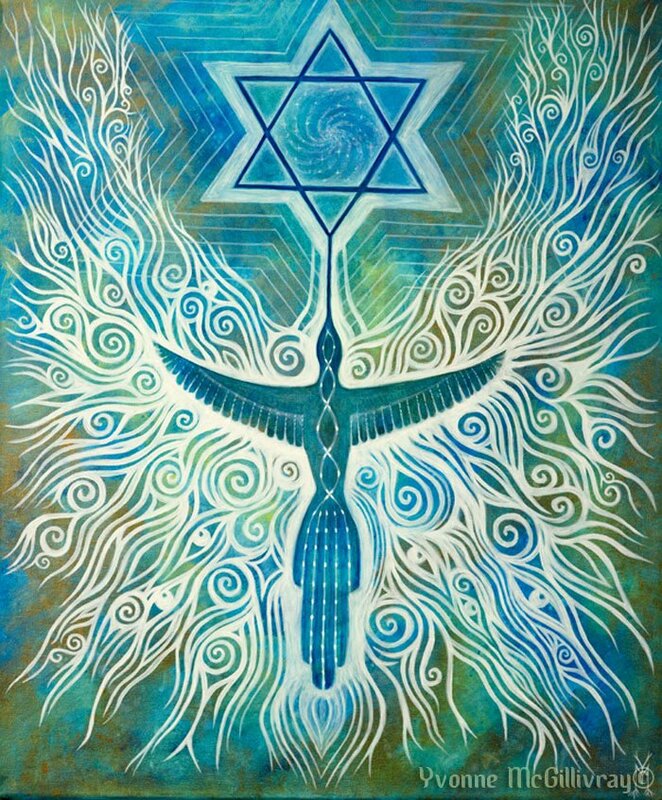 It can help to remind, to re-enchant and to reconnect people to the sacredness of all life, to the majesty, mystery and wonder of creation and our connection to all things. The hearts and minds of the material driven cultures may be opened and the spark of imagination rekindled, and awareness and consciousness expanded. 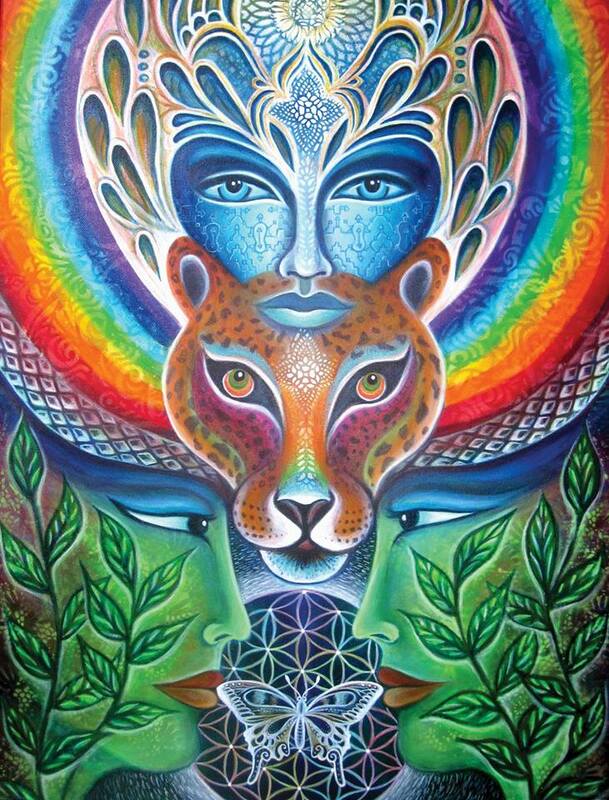 By remembering our divinity, that which is infinite and eternal and waking up to our true nature, we can remember our place and purpose in this matrix of creation and can move forward on this evolutionary journey. 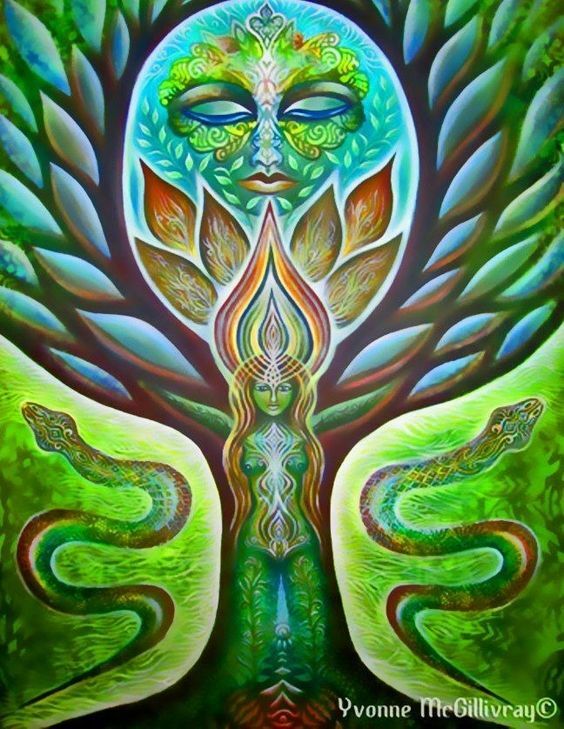 With roots firmly planted we can fly into realms beyond the imagination, into the multi dimensional worlds and realities that exist, to the source of all things. 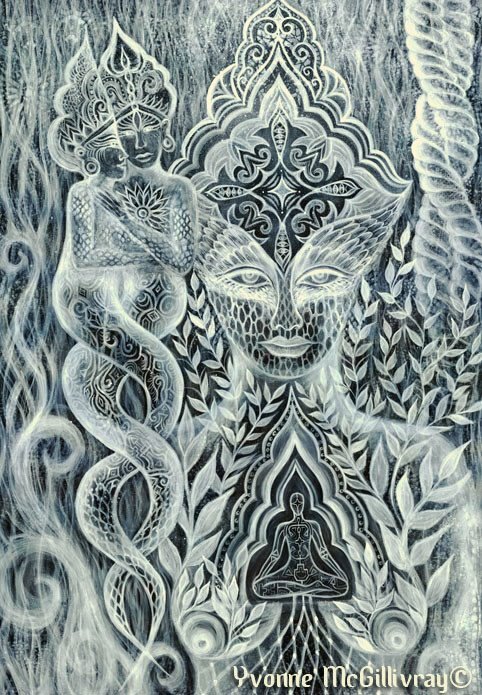 British Isles artist Daniel Mirante is a gifted painter, teacher and writer who shares a wealth of insights into the artist’s craft and its relationship to the sacred. 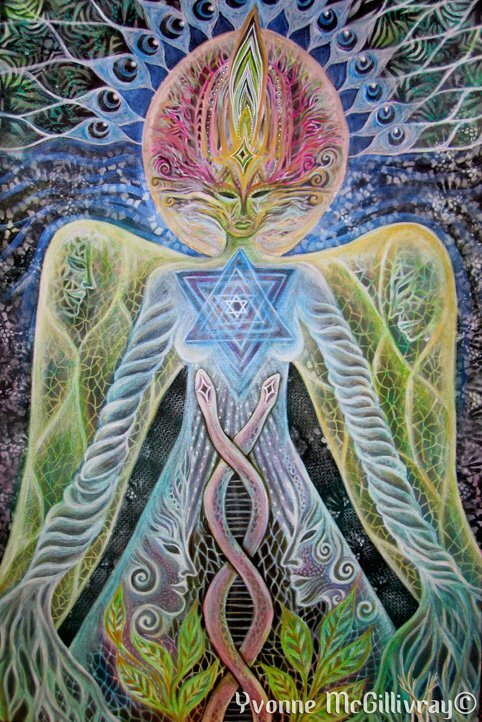 His interest in visionary and sacred art was and continues to be strongly influenced by intensive ceremonial work within indigenous cultures and mystical lineages, including indigenous traditions of the Americas, Dzogchen teachings, and through exploring the archeology of ideas of Western Consciousness, such as Gnosticism and Hermeticism. Understanding working with symbols as a dynamic language of spiritual enquiry, he developed a passionate interest in painting in 2002, and sought instruction in 2004 from Brigid Marlin, a venerable teacher in the lineage of Ernst Fuchs. 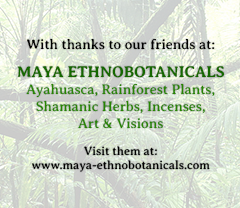 Through the creation of websites www.ayahuasca.com and www.lila.info and through exhibiting and lecturing internationally, leading workshops and holding space for collaboration, Mirante has been instrumental in spreading awareness of contemporary Sacred and Visionary Art. 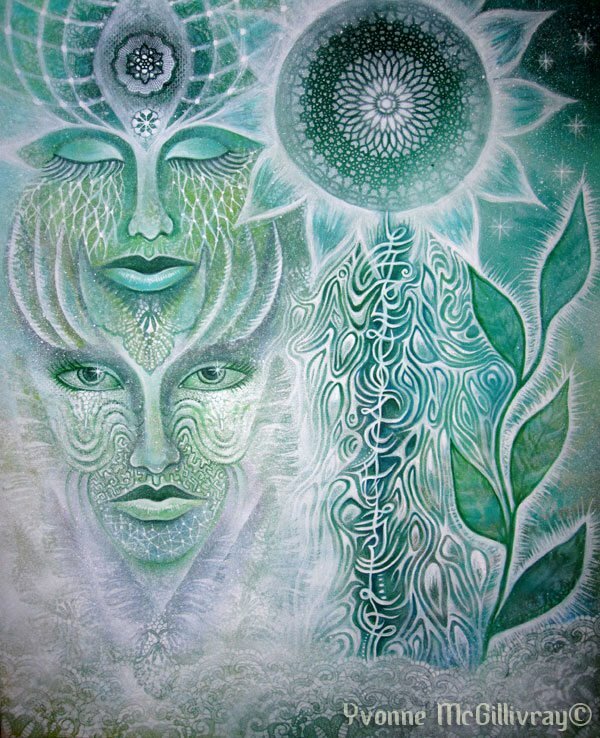 A teacher at the Visions in the Mischtechnik Seminars with Amanda Sage and Laurence Caruana, author of The First Manifesto of Visionary Art, in 2012 he worked as assistant to Ernst Fuchs, and is a founder of the Vienna Academy of Visionary Art. Currently residing in Devon, UK, Daniel currently focusses on grass roots art education, writing, painting and storytelling.